Old Miser's – Page 2 – Welcome Back, Commander! These are the cheat codes for the Lost Viking mini-game – The arcade game you can play in the Cantina, during the StarCraft II: Wings of Liberty campaign. During the game, you have to press [Enter], type the code in the console that appears, and press [Enter] again. 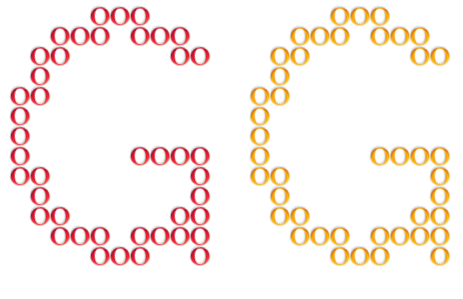 -score [number] – Adds [number] to the score. -addlife – Adds an extra life. -life – Adds 10 extra lives. -ss – Display “Boss Incoming” message. -sine – sin(180), sin (90), sin(pi). -noquit – Hides the quit button. If you know any code not listed above, please let us know! If you were looking for Single-Player and Campaign cheat codes, you can find them here. These are the StarCraft II: Wings of Liberty cheat codes. To activate the code you must press ENTER, type the code, and press ENTER again. If you want to use the same code multiple times, you can just press ENTER, ‘=’, ENTER, after having used the code for a first time, of course. Remember that they only work on single-player mode and, if you use them, you will not get any achievements. If you know another cheat code that is not included in this list, please send it to us! There are also cheat codes for Lost Viking (the arcade game playable during the campaign). You can find them here. Note: If one of these codes do not work, it was probably disabled in one of the newer patches. Finally able to start posting again! First, all StarCraft Brood War cheat codes were posted here. There are other cool online games I have in mind, like SAS: Zombie Assault. I’ll see if I can post them here later this week. Create, combine and use powerful gems to destroy monsters that swarm the lands in GemCraft, a very cool tower defense Flash game. Place gems in towers or use them directly into the waves of monsters that try to get to you. The Last Stand 2 is a sequel to The Last Stand where you’ll also have to defend your wall from waves of zombies using different weapons and help from the people you rescue along the way. Defend yourself from waves of zombies in The Last Stand, this amazing zombie shooter made in Flash. Use different weapons and the help of people you rescue to stop the undead from breaking your wall. StarCraft 2 Tower Defense is a great looking epic tower defense game. Use the mouse to control and build your defenses. Video that shows you how to beat 4 Very Hard AI on a 1 vs 4 Multiplayer Custom Game. You should pick the map Megaton. Chose to be protoss. In this video, the opponents were two protoss and two terran. Basically, it’s a cannon rush. But you can’t just enter the enemy base and build your pylon. In new patches, workers are smarter, and they will stop your rush. You must build the pylon at the bottom of the ramp. Try to place your buildings in the same place as shown in this video. This replay was recorded on patch 1.4.3. 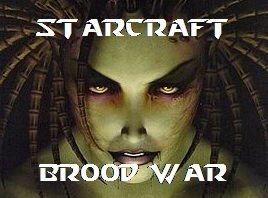 Here are the cheat codes for StarCraft Brood War. To use them, press ENTER, type the code and press ENTER again (in game). Remember, the codes only work in Single Player mode!